Whether you work in a tractor or at a desk, everyone needs a quick, easy meal to ward off midday hunger. This easy Cuban slider fits the bill. Make a big batch on Sunday evening, and you’ll have delicious, hearty ham sandwiches to fill your lunchbox for the whole week. Not only does ham provide high-quality protein, it also is one of the most sustainable meats available. Sustainability means doing what’s right for the environment and continuously improving the land. Pork farmers have done just that by reducing their carbon footprint by 35 percent in the last 50 years. Feeding pigs a nutrient-rich diet of sustainably-grown soybean meal allows farmers to raise delicious meat while leaving the land better than they found it. Now, it’s sandwich time! 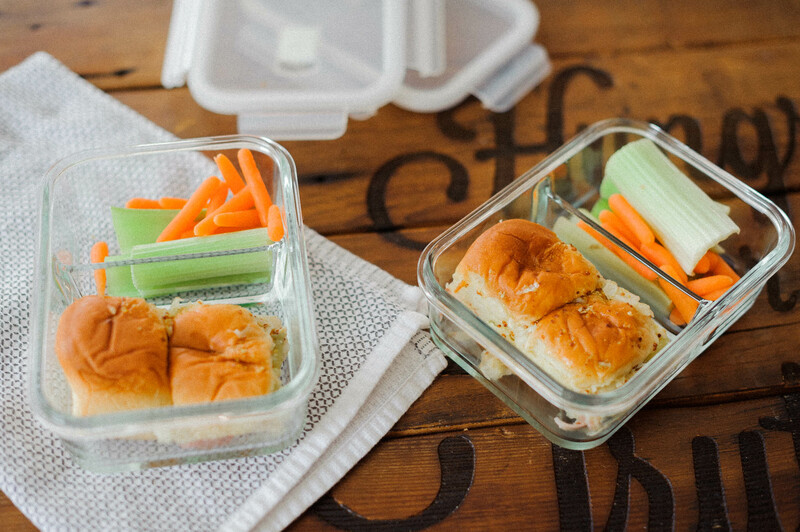 Follow along with this video to see step-by-step instructions for this quick lunchtime hit. Need a dinner recipe? Try these Pork Chops With Rosemary Apple Butter. Cut the tops off the Hawaiian rolls and place the bottoms in the baking pan. Layer the ham, Swiss cheese and pickles. Place the tops of the rolls on top. Whisk together the butter and Dijon mustard in a small bowl. Stir in the minced onion. Pour the Dijon spread over the top of the rolls. Cover the baking pan with foil and bake for 15 minutes. Remove the foil and continue to bake for an additional 10 minutes until the rolls are toasted brown. Cut and separate the sliders into the meal boxes. Enjoy warm or chilled.